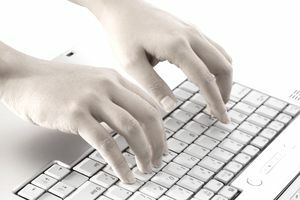 Capital Typing business process outsourcing company based in South Carolina offers a variety of services to its clients and hires freelancers or independent contractors to perform them. These services include transcription, data entry, market research, translation, online customer support, editing and secretarial services. The company believes strongly in the strengths of telecommuting workers and uses work-at-home freelancers in many positions. As is typical with BPOs, Capital Typing hires independent contractors, not employees, for its home-based jobs. Typically, independent contractors in these types of positions are paid a per piece rate per audio hour transcribed or per word—not an hourly rate, so there is no guarantee of a minimum wage. There is also no guaranteed of how much work you might receive from the company. Listed below are the types of home-based opportunities described on the company's website. However, the company may not be hiring all or any of these types of positions at a given time. Secretarial services - People in these positions provide administrative office support for individuals and large corporations who are the company's clients. Work includes digital dictation, writing, and editing. Transcription - Transcribers do medical, legal and general transcription, as well as captioning of movies and TV shows. Data entry - The work these operators do might include data extraction, research, database development and management, direct mail and marketing services. Online customer support - These customer service professionals provide services which include email response management, live customer support, and chat-based customer service. The work may include bookkeeping, proofreading, client list building and refinement and online marketing tasks for small businesses and restaurants. Bilingual positions - People with dual language skills are needed for transcription and customer support positions. Web design - applicants with a web developer background can be assigned to website building and design for a client. They may create and update the clients' social presence. Contact the company, request information and apply for its home-based positions directly at the company's employment page, which lists any current openings and encourages applicants to apply for future employment opportunities if none are currently available. The company lists links to its social media network on the website, but those sites aren't maintained. If the company considers you for a position, a Capital Typing representative will contact you to fill out paperwork, which includes a confidentiality agreement. Then, you are scheduled for a Skype interview. If you consistently meet deadlines and quality standards, you may be considered for advancement to a higher position, such as project manager or reviewer. Independent contractors who have worked for the company say they enjoy the flexibility to maintain their schedule and report that company supervisors are available and ready to assist or train when needed. Disclaimer: Ads for home-based jobs or business opportunities on this web page are not necessarily legitimate. These ads are not pre-screened and appear on the page due to having similar keywords to the text on the page.